Rolled in this morning and this biting trauma case met me at the doorstep this afternoon. 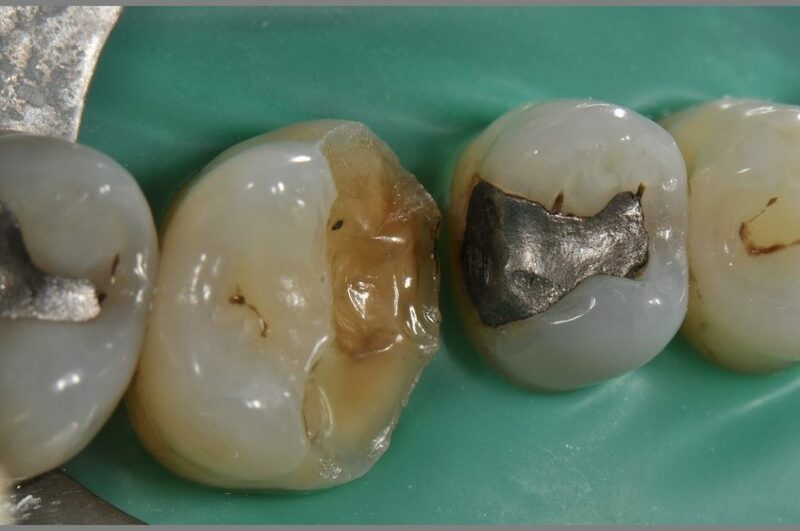 Finishing one tooth at a time, the old amalgam on 25DO was replaced using the Omnimatrix Clear (Ultradent) before freehanding the MB, MP cusps (with Cusp of Carabelli) and completing the marginal ridge once the line angles had been re-established. 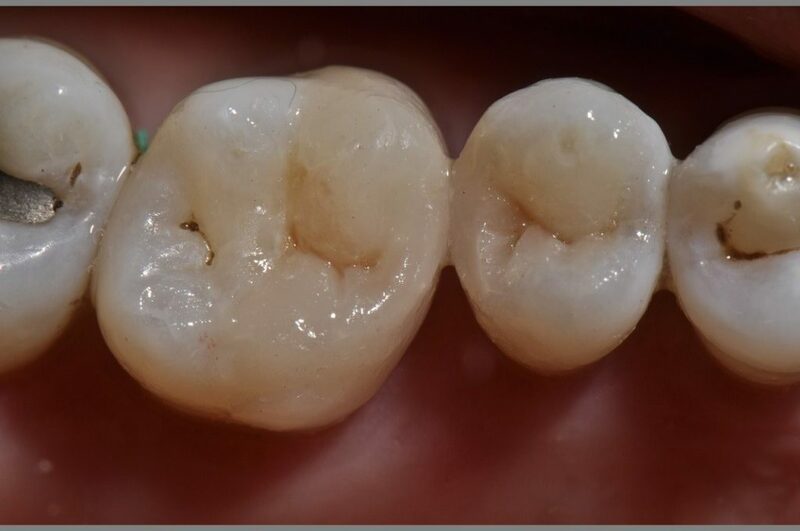 After micro air abrading using 27 micron aluminum oxide, etching was completed using Ultra-Etch (stays where you put it) for this case using the Ultradent Peak Universal Bond via Self-Etch mode. It is a 7.5% filled bond with ethyl alcohol as the carrier. The restoration was layered from whoa to go using GC Essentia U with staining provided courtesy of Cosmedent Creative Color Dark Brown. Subtle pits and fissures match those of the adjacent teeth. Occlusion was dialled in to feature soft centric contacts with no lateral excursive interferences.